Kohler K-4929 Waterless Urinal Maintenance Balls are designed to enhance the routine maintenance of KOHLER'S Steward Urinals as well as other brands. 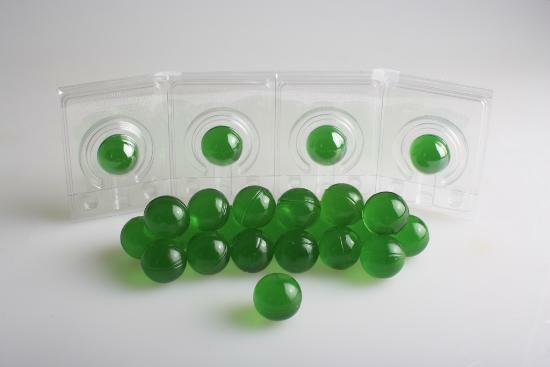 When used in conjunction with proper maintenance of the Steward Urinal (every two weeks) the Waterless Urinal Balls inhibit potential build up, and keeps the system operating effectively. View MSDS. 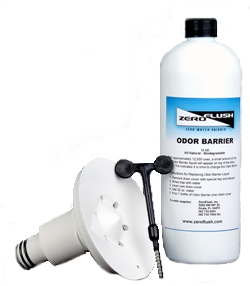 See also Kohler Waterless Urinal Sealing Liquid (1048656) Individual Gallon and Kohler Waterless Urinal Cleaner (1174866). This item currently ships only to destinations in the continental USA. 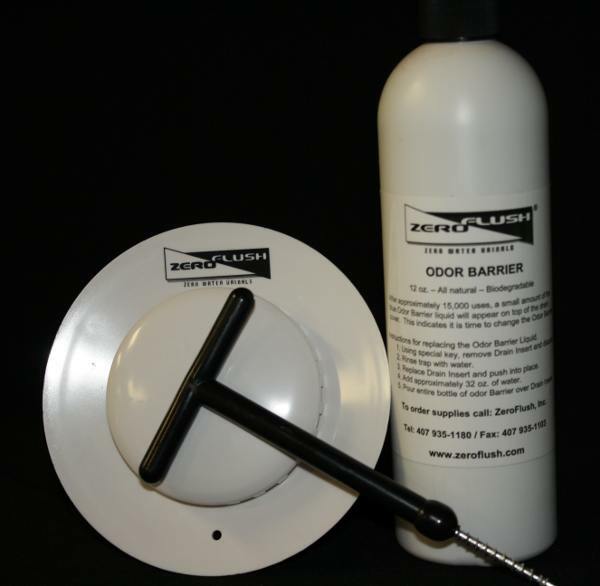 Canadian customers may contact our office to receive a special shipping quote. Contact us to learn about volume discounts or if you find Kohler™ products available for less elsewhere online. WaterWise Technologies will match or beat any regular published price offered by other distributors. 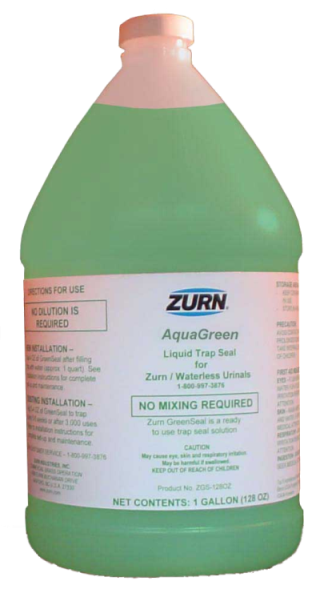 Zurn AquaGreen Waterless Urinal Sealant Liquid, 128 oz.